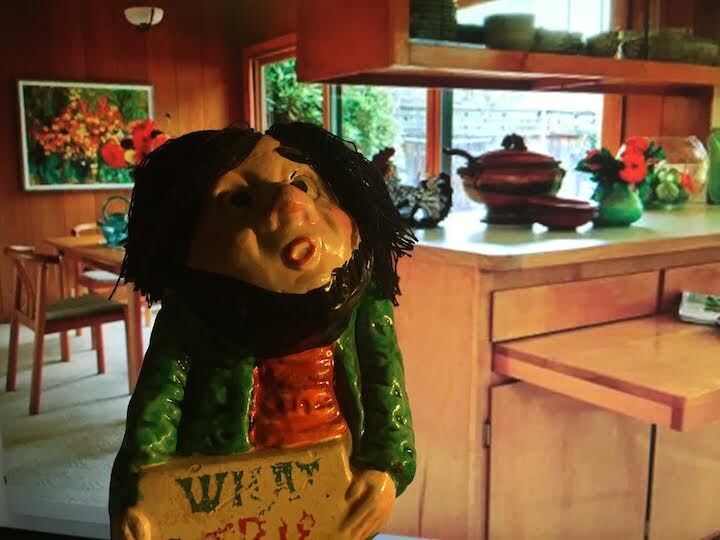 In the early years of the love affair between our friends Gabby and Young Emily, they paid attention to sculpture. 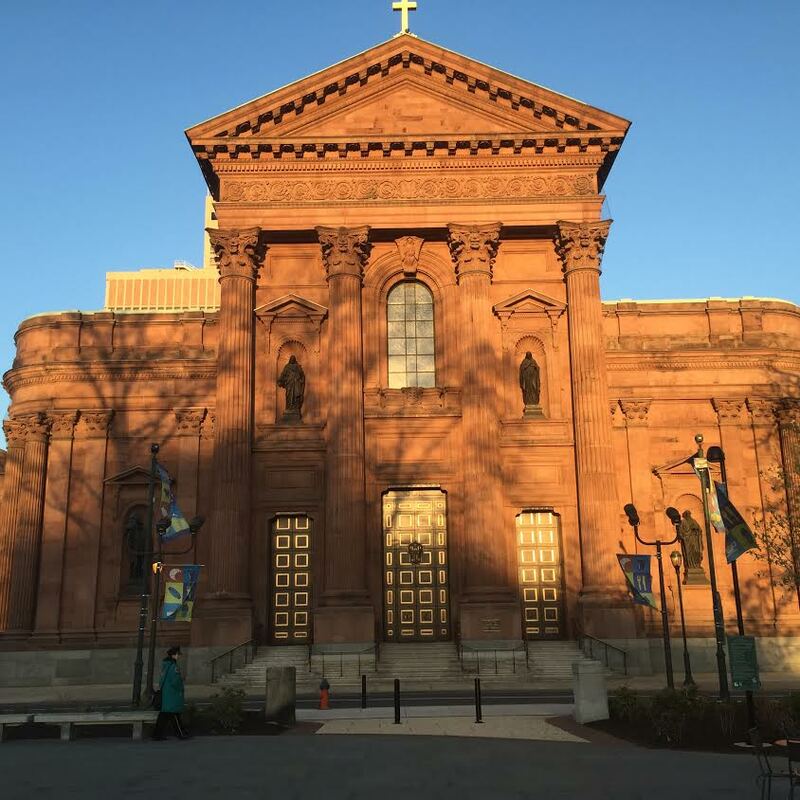 Here are excerpts from his journal, starting with a description of his final day in Philadelphia with Young Emily in August 1970. He wrote about driving from the United Farm Workers boycott house in North Philadelphia to Young Emily’s mother’s house in West Philadelphia. 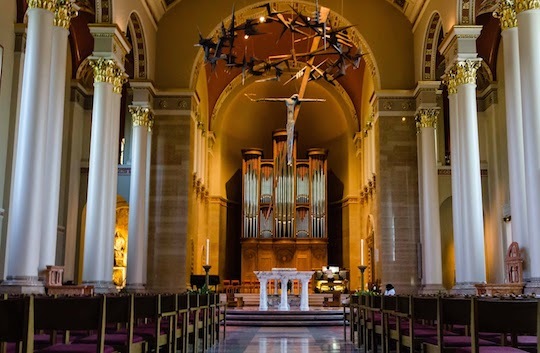 Young Emily and I when to Saints Peter and Paul on Race Street in Philadelphia and heard Latin mass for the Feast of the Immaculate Heart of the Blessed Virgin Mary and then briefly stopped by the gilded (why was this a good idea?) 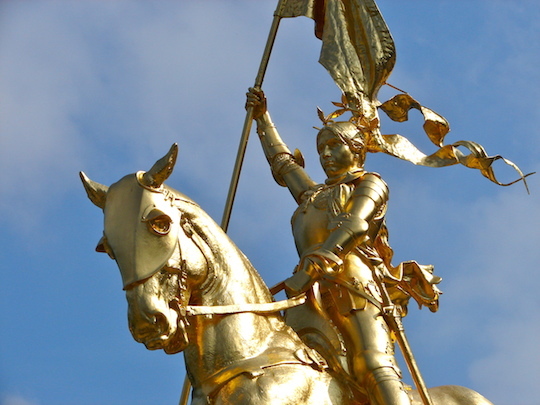 bronze Emmanuel Frémiet statue of Joan of Arc – heroic on a horse – outside the Art Museum. A few minutes later they would say goodbye at the Dickens statue in Clark Park, West Philadelphia. You have seen that photo and read his journal about that conversation. They didn’t see each other again until 1973. She came unannounced to visit Gabby who was working with the United Farm Workers and the grape strike in Coachella. I was there too. But this isn’t all about me. Back to their visit. At the end of her visit they went to Lincoln Park in Los Angeles to meet up with Young Emily’s aunt. Ten minutes before the appointed hour for meeting her aunt at the cast stone WPA statue of Florence Nightingale and its plaque speaking of the journey from “the mystery of birth to the mystery of death”, we sat alone together. Young Emily started college and Gabby went back to his work with the UFW. They next saw each other in the summer of 1974. The spent a week in South Bristol, Maine, in a cabin on the water owned by the family of a college friend of Young Emily. At the end of the week they drove to Boston where Gabby would fly back to California. “None intended. This middle path is just that, a path. As every schoolgirl knows, a path is a course of action, a course of direction. A path leads somewhere. Do you doubt this? They next saw each other in late January, 1976. Gabby was working on an organizing campaign of lettuce workers in the Imperial Valley. The organizing drive was successful and so was their visit. It had been more than a year. In early February – 1976 this still was – after a week at my Rancho Not So Grande, I drove Young Emily to San Diego for a flight back to college. 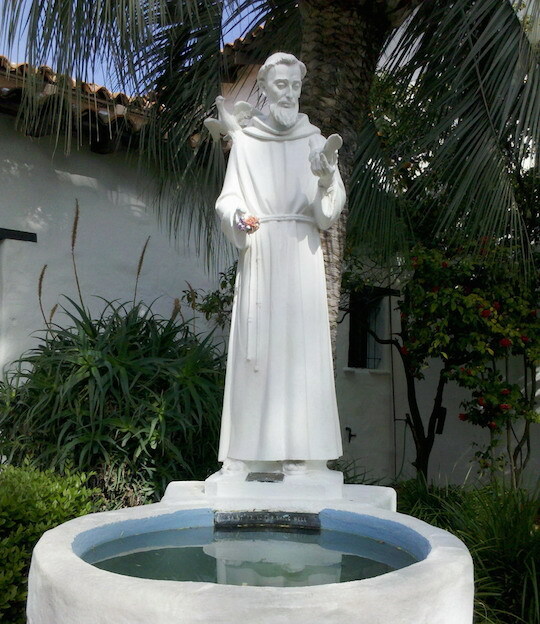 We had our one Serious Talk just before she left at the wishing well statue of St. Francis of Assisi at the Mission San Diego de Alcala. They didn’t have to wait that long until they saw each other again. They spent a week together in New York and the Democratic National Convention in July of 1976. At the end of the week they walked to Central Park to say goodbye. Third runner-up: Jagiello, King of Poland, Grand Duke of Lithuania. 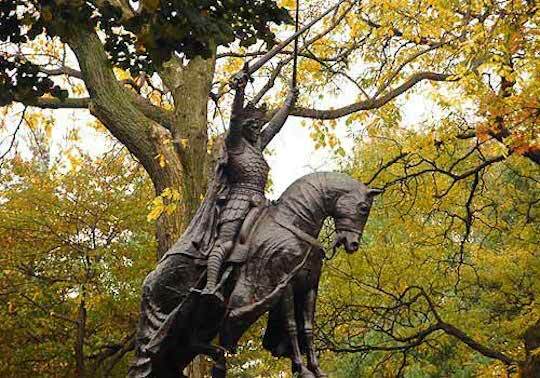 The two crossed swords held over his head are majestic and the inscription inspires: “Founder of a Free Union of the Peoples of East Central Europe Victor Over the Teutonic Aggressors at Grunwald July 15, 1410. 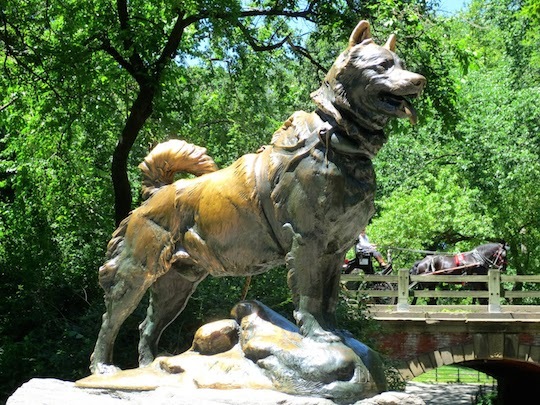 Second runner-up: Balto the sled dog. A hero dog – say no more. 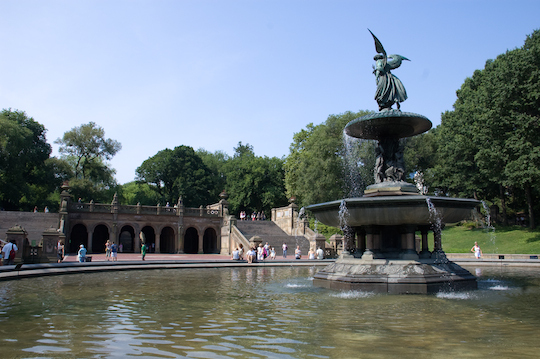 First runner up: the Bethesda Fountain. Gorgeous, evocative of the Gospel of John: Now there is at Jerusalem by the sheep market a pool, which is called in the Hebrew tongue Bethesda, having five porches. In these lay a great multitude of impotent folk, of blind, halt, withered, waiting for the moving of the water. For an angel went down at a certain season into the pool, and troubled the water: whosoever then first after the troubling of the water stepped in was made whole of whatsoever disease he had. But for the cascading water this very well could have won the prize. 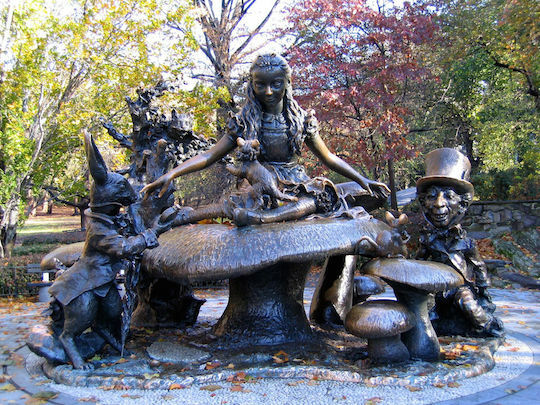 Winner: Alice on East 74th near the Conservatory Water, by José de Creeft, with a few lines from The Jabberwocky engraved in granite: ‘Twas brillig, and the slithy toves did gyre and gimble in the wabe.” Alice, the March Hare, the Cheshire cat, the dormouse, and the Mad Hatter. Really something. 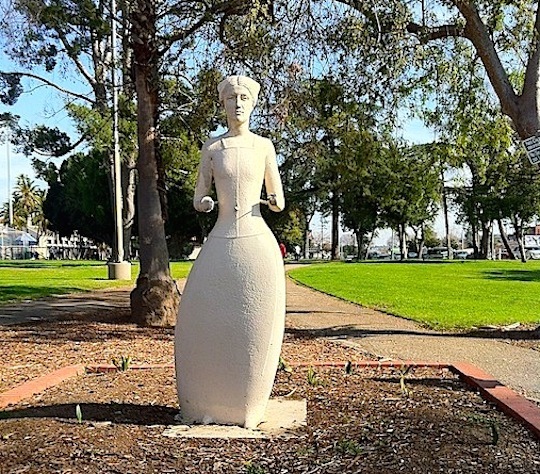 Young Emily finished college in 1977 and moved to California to live with Gabby in San Juan Bautista. In early 1980, Gabby was fired by Cesar Chavez for the fourth and final time. It was nothing personal, just that Cesar was dismantling the Union and the legal department was an early victim. I was fired at the same time, but this isn’t all about me. Gabby headed off to Milwaukee to work on the campaign of Jerry Brown for the Democratic nomination. (He refers to Governor Brown as “the New Governor” in his journal). Young Emily came to visit towards the end of the month that Gabby spent in Milwaukee. 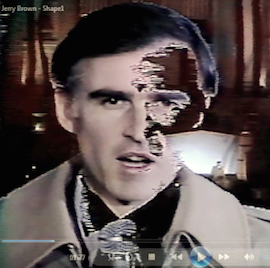 Young Emily and I watched the New Governor’s Apocalyptic event produced by FF Coppola on television from the safety of the living room of my host in Milwaukee, the City Attorney. It didn’t take a genius to see that we would not be moving on to Pennsylvania for the primary there. The Governor was done. 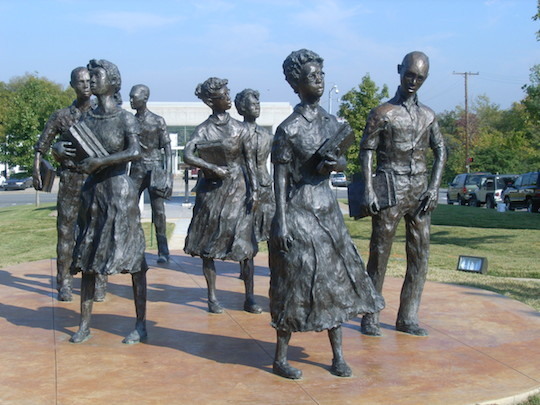 I know that statues continued to play a role in the lives of Gabby and Young Emily. I haven’t read Gabby’s journal past 1979 and so can’t provide details, assuming even that he kept a journal. I suspicion that he did. 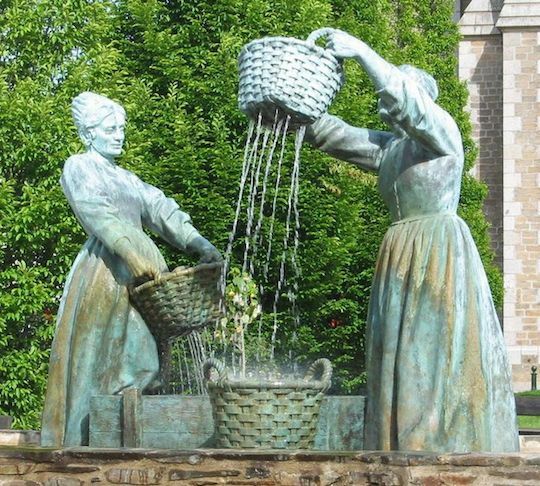 When Gabby wrote us from Brittany in the summer of 2014, he sent a photo of the oyster women sculpture in Cancale. 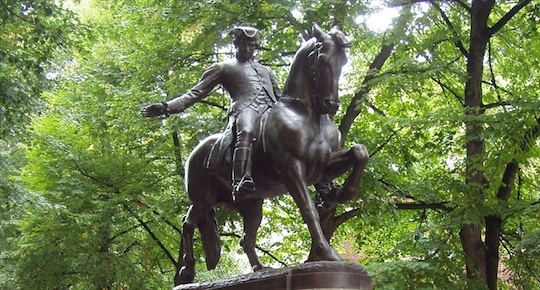 And just a few weeks ago, when Gabby sent my friend the collection of giant bug movie posters that he had collected in Pittsburgh, he sent a photo of the statue of George Washington and Guyasuta. 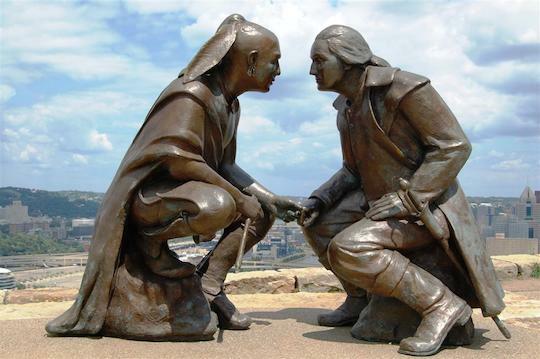 Guyasuta was a Seneca leader who met George Washington (whom he called “Tall Hunter”) in 1753 when he accompanied and guided him through Pennsylvania and is referred to as “The Hunter” in Washington’s personal journals. Guyasuta sided with the British during the Revolution. Sorry George. What a brave bunch they were. 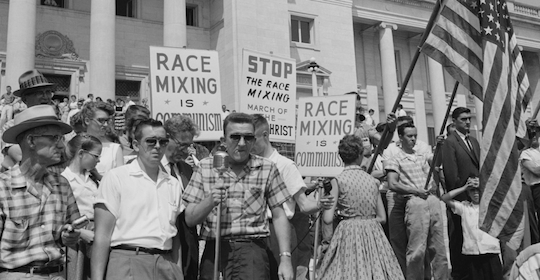 It wasn’t a pretty chapter in the History of White People in America, was it? And am I the only one who looks at this photo and thinks of Kim Davis? She who has been married four times to three different men. The first three marriages ended in divorce. She is the mother of twins, who were born five months after her divorce from her first husband. Her third husband is the biological father of the twins, who were adopted by her second husband, Joe Davis, who is also her fourth husband. Got it? EXACTLY what God told us was marriage. I showed this post to my friend. He was deep immersed in his make-over of his quarters in Danish Modern style. He had visited his ideal Danish modern kitchen and was determined to replicate that here. 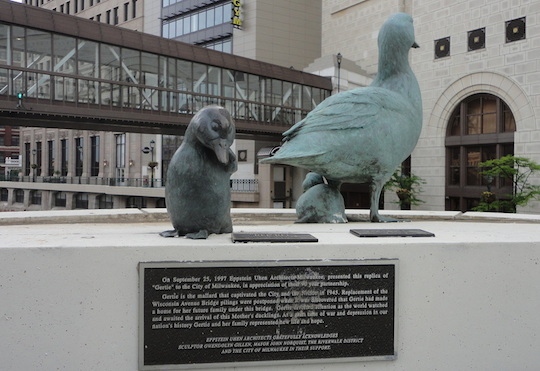 He was all too happy, though, to sit down and read Gabby’s journal and look at the photos of the statues and think of the almost 50 years now of Gabby and Young Emily’s love affair. How would he sum it up?